The concept of "ministry teams" is rapidly taking hold in churches, but just what are they and how do they work? 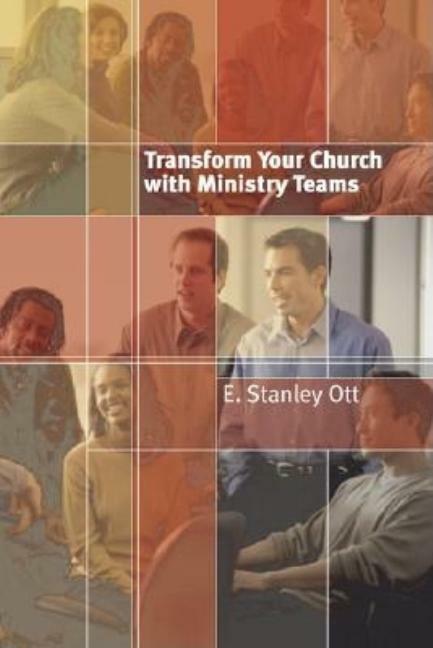 "Transform Your Church with Ministry Teams" outlines what effective ministry teams look like, describes what they can offer local congregations, and gives concrete step-by-step suggestions for making them happen.The power of ministry teams lies in their unique capacity to generate genuine Christian fellowship, nurture disciples, develop leaders, and mobilize people for ministry. While traditional church leadership organizations concentrate almost exclusively on task, policy, and program, ministry teams are designed to enhance faith development and, thus, ministry effectiveness.E. 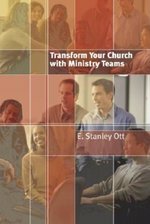 Stanley Ott explores three main areas of ministry-team development. First, he explains the philosophy behind ministry teams and discusses the issues involved in shifting from committee-based to team-based ministry. Second, he tells how to begin ministry teams, including how to identify team leaders and members and how to determine their roles. 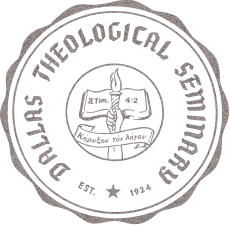 Third, he looks at the details of ministry-team life, including ways to build team fellowship, foster discipleship and communication within teams, and accomplish specific ministry tasks.Filled with wise, time-tested advice, including four how-to appendixes, this book will help pastors and lay leaders transform the life of their church or Christian organization.